BookMarketingBuzzBlog: Is Amazon On The Spectrum of Censorship? Is Amazon On The Spectrum of Censorship? In the technical sense, the First Amendment applies somewhat in a limited way to life. It typically has to do with a government’s restriction on free speech. But does its spirit apply to the book world? Can retailers decide not to sell a book simply because they don’t agree with what a book says? On the one hand, you might applaud them for scrubbing the shelves of ignorant if not dangerous, views. But the other hand says: Who determines which views are wrong, unproven, or dangerous? And even if a book is deemed to not be in the public’s interest, should it be banned by the nation’s dominant and largest book retailer? Think back at books that suggested civil rights, women’s rights, and the abolishment of the death penalty were good things. Think back when people advocated for gay marriage. Then think of how the laws and nation’s mood were contrary to those books. Would censorship of such books back then been harmful to public discourse? Think about books that discussed chiropractors and alternative medicines or holistic treatments. A few generations ago chiropractors were ridiculed. Now everyone sees one. Think about books in favor of marijuana legalization in the 1980s, when the nation had a bloody war over crack and cocaine. Such books now are embraced. The list goes on and on. Take any major social ill, political issue, or human right. Books have and will come out to support a side that the vast majority or institutions detest. A few generations later the tables are turned. That doesn’t mean that these autism cure books have validity nor does it mean that current science knows everything about autism. The epidemics caused by non-conformity on vaccinations comes, in part, because medicine has not helped prevent or treat the increased incidents of autism and so in the vacuum of the unknown and fear, we try to desperately find solutions, reasons, or alternative ways to help. If science knew everything, we’d know whether these books have merit or not. I do believe in free speech to the point that it should allow all books to exist and be sold. Should they come with a warning label? Should there be a database of books people deem inaccurate? Should the media and scientific community do a better job of combating misinformation? Maybe it’s up to the courts. Let parents of autistic children sue, and say these books are lies. Otherwise so many books would disappear fast, without consistency or fairness. How many books on dieting and investing should be banned? How man novels that fantasize a slew of crimes should be censored? What if Amazon doesn’t agree with one’s politics? would it sell an expose about Amazon? Free speech means access to all writings and ideas. We have to put up with some garbage in order for the bigger truths to become apparent. If a book really could cause harm, sue the publisher and prove your case. Otherwise, allow for a spectrum of views to co-exist and may the facts and truth win out. • Collect unique [url=https://lordsmobileapk.com/lords-mobile-heroes-list/]Heroes [/url]with a variety of skills. Author, You’re The Expert: Who Do You Want To Be? Can Writers Lead The World To Change? What Is Your Book Selling Style? What Type Of Help Might Authors Need? Which State Is The Literary Capital? 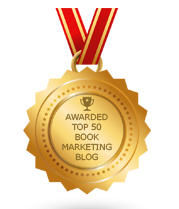 Do You Market Your Book Like A Winner? Are You An Infopreneur -- Or Just An Author?